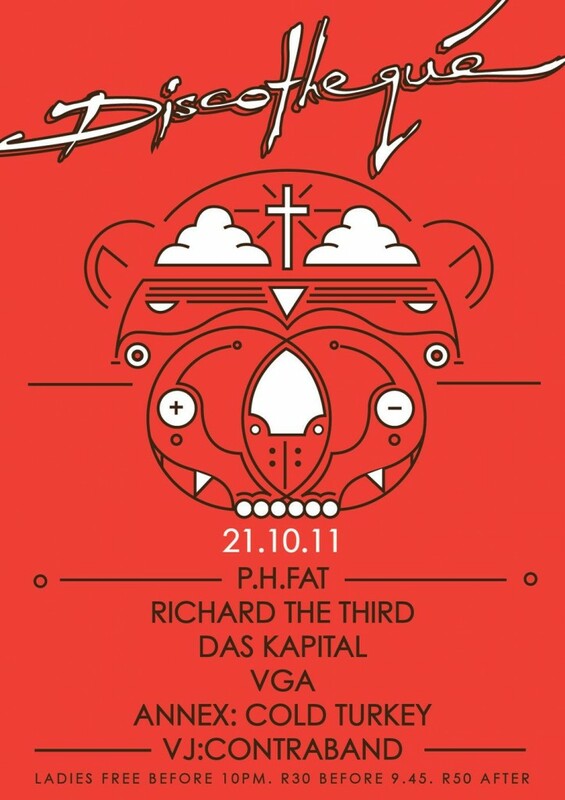 Discotheque: P.H.fat, Richard the Third, Das Kapital & Cold Turkey! 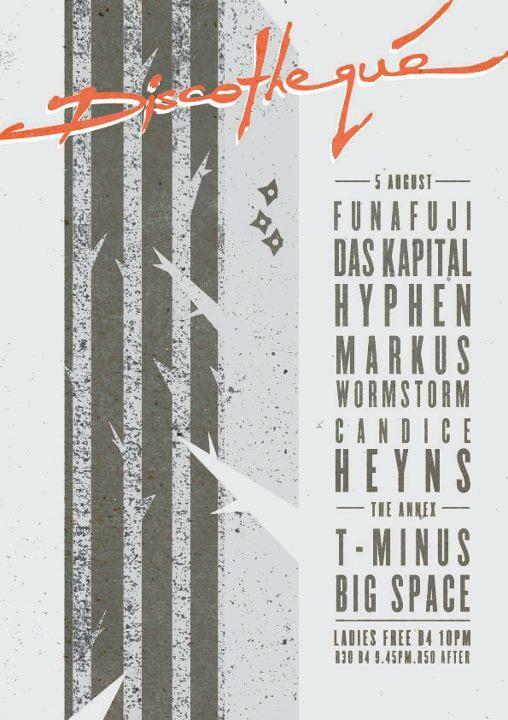 The poster design alone should get you excited, but when you read the line up your plans for tonight finalize instantaneously. Van Coke Kartel, Foto Na Dans & more! Score tickets! Saturday at The Assembly brings you a collective of our local live talent, including the likes of Van Coke Kartel and Foto Na Dans! To see how you can score yourself one of two sets of double tickets, carry on reading! SYNW – Win tickets & Party with Sharon! 2. Juke Royal will film a portion of their music video, featuring Sharon the puppet and you guys partying with it. More details ( and free tickets) after the jump! 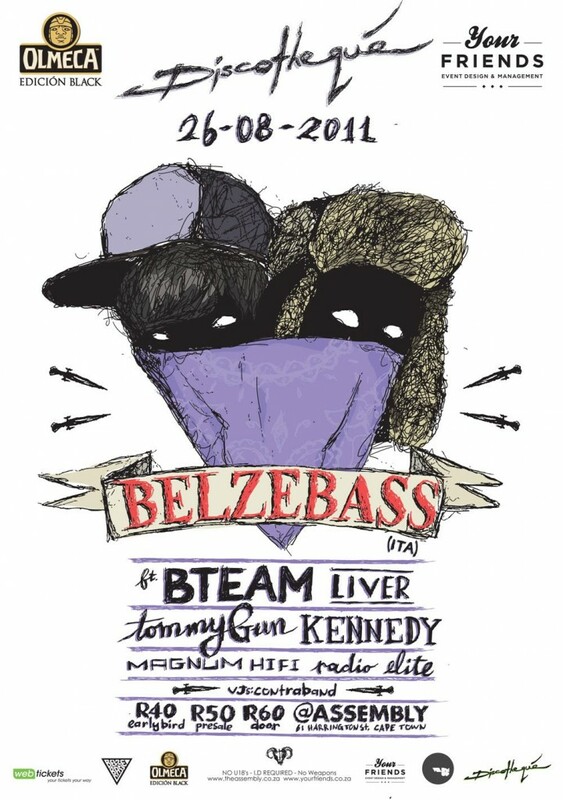 Belzebass (ITA) at Assembly! Win tickets! We’ve seen some insane electronic duos from Italy grace The Assembly. 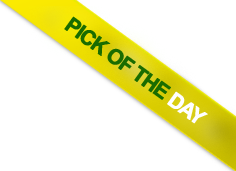 Think Cyberpunkers, Think Bloody Beetroots, give it a little twist and you get Belzebass! 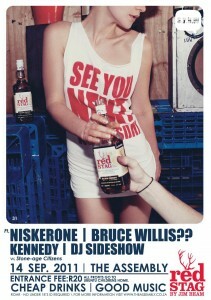 Niskerone & Bruce Willis at Assembly? Of course you wanna! 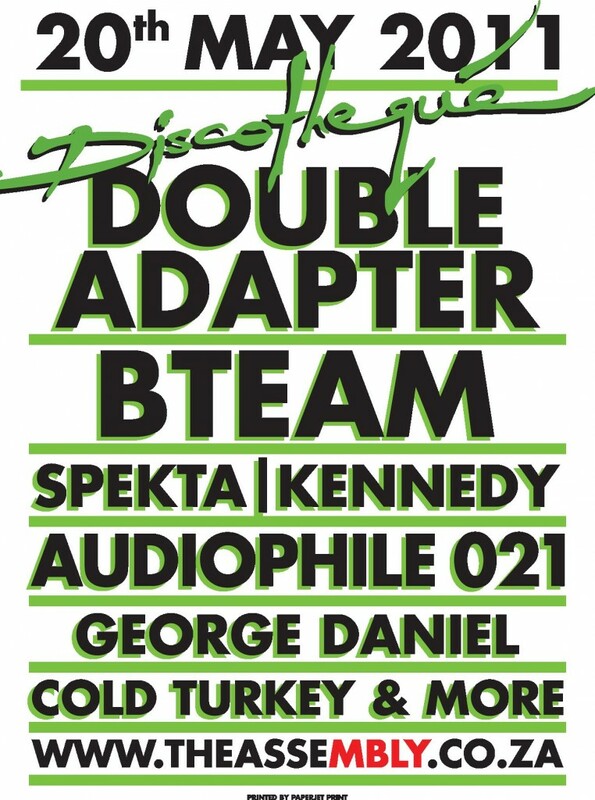 Competition – Discotheque at The Assembly! 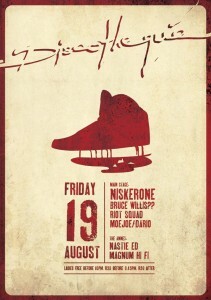 Tonight sees a varied line up of some of the old-school artists of Cape Town, well worthy of a massive night out. We have two spots on the guestlist for you – after the jump! SYNW Feat. 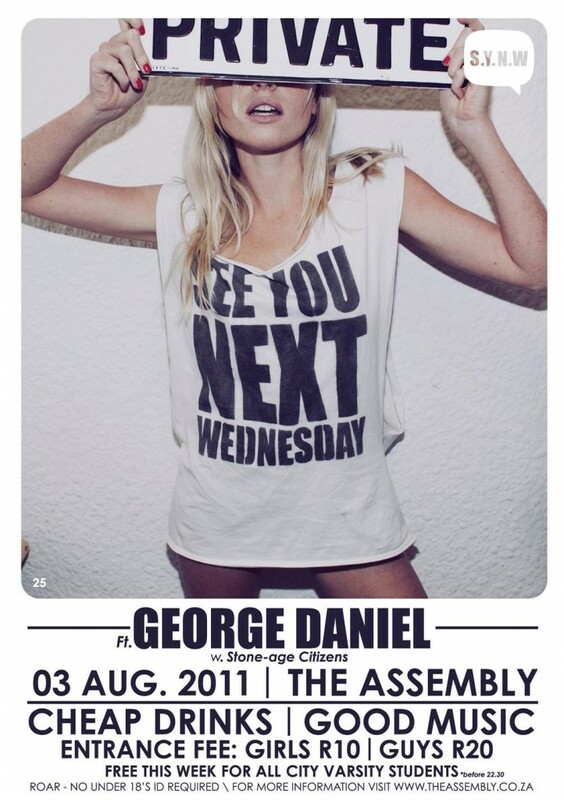 George Daniel – Guestlist & Bartab! We’ve given you an introduction to SYNW before, The Assembly‘s ever growing mid week student jol where the music is great, the specials are everywhere and the people party like there’s no tomorrow! We have 2 sets of double spots for tomorrow night, as well as a R100 bartab for one lucky winner! Devastation is coming back to Assembly – Win tickets! 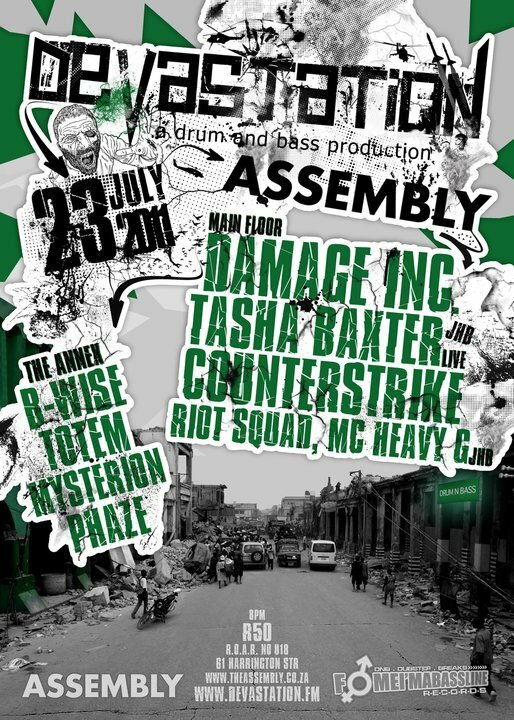 The growing sensation that is the Devastation movement makes its return to The Assembly with another devastating line up! We have FIVE SETS OF DOUBLE TICKETS, exclusive to NoBucks and our followers! 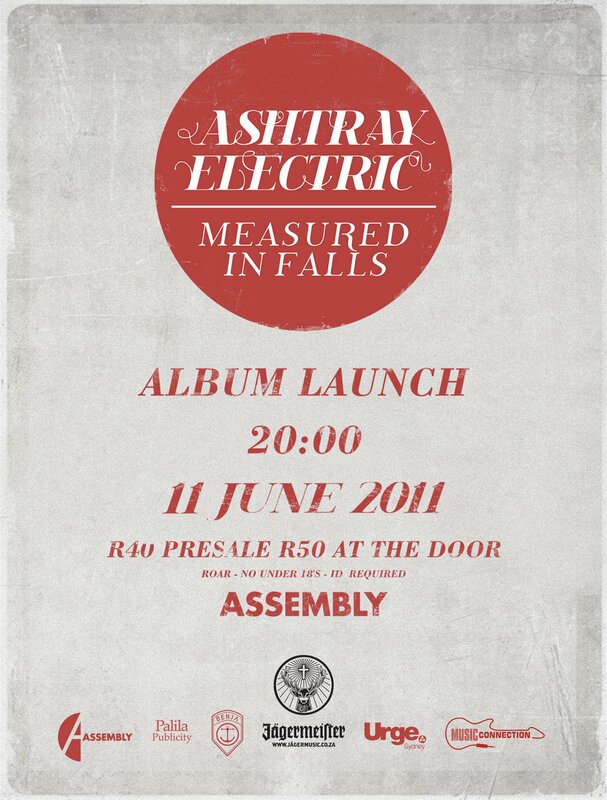 Win tickets to Ashtray Electric’s album launch! This Saturday (11th June) will mark the beginning of Ashtray Electric‘s new album tour! Win tickets to Friday’s Discotheque!